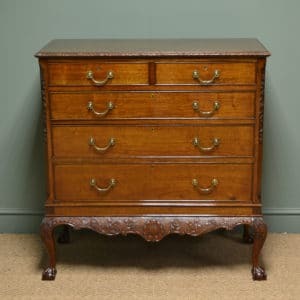 This Superb Georgian Mahogany Antique Chest on Chest / Tall Boy dates from ca. 1780 and is of nice smaller proportions. 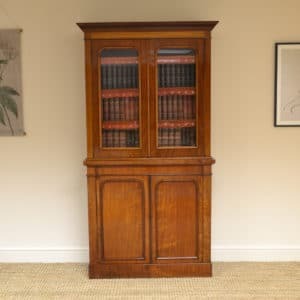 It has a moulded cornice, with dental mouldings and an unusual blind fretwork frieze drawer. 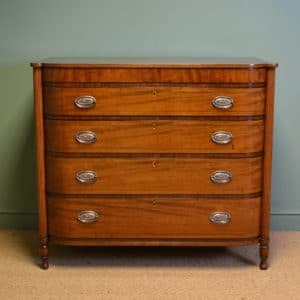 This Superb Georgian Mahogany Antique Chest on Chest / Tall Boy dates from ca. 1780 and is of nice smaller proportions. It has a moulded cornice, with dental mouldings and an unusual blind fretwork frieze drawer. 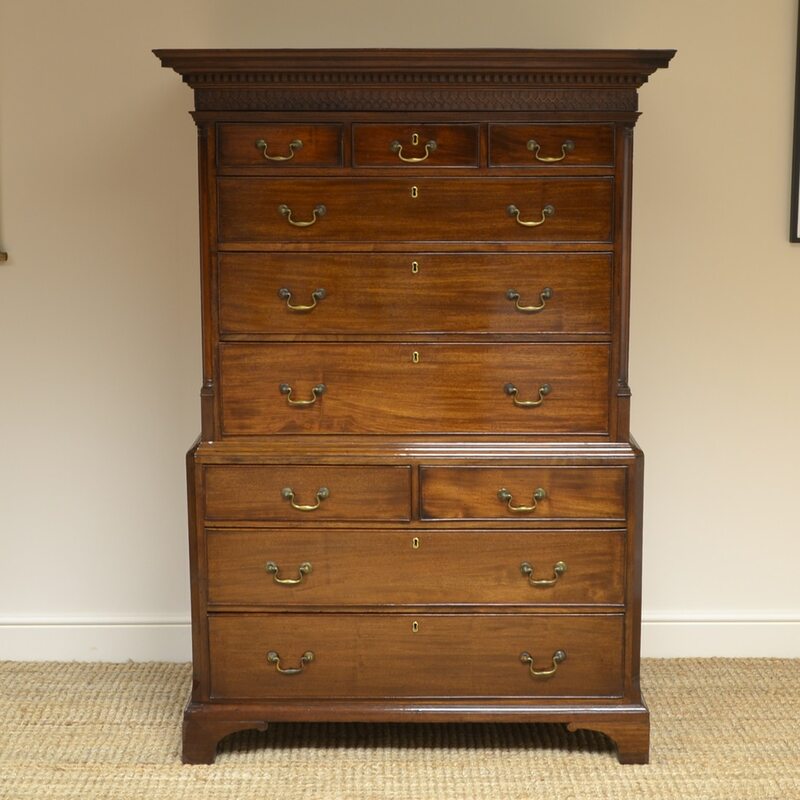 This sits above three over seven drawers all cockbeaded, Oak lined and have brass swan neck handles. 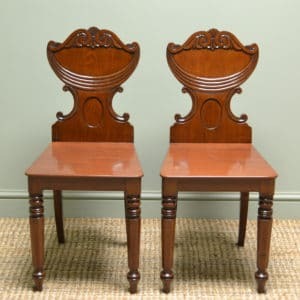 It stands on shaped bracket feet, splits into two sections for removal and is full of wonderful charm and character. 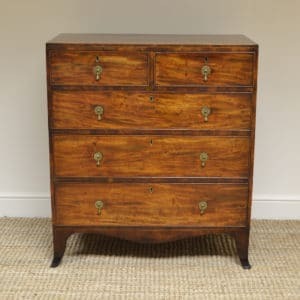 This lovely chest has aged to a warm Mahogany shade with a striking grain, good patina, is in very good condition and has been beautifully cleaned using a traditional form of wax finishing.